Five-year-old Cuban refugee Elian Gonzalez, captures American hearts when he’s found alone, clinging to an inner tube, floating in choppy waters three miles off the coast of Ft. Lauderdale, Florida. After learning that his mother, step-father and others on the raft tragically drowned in their desperate attempt to escape communist Cuba, a compassionate US Immigration and Naturalization Services (INS) temporarily release Elian to his great-uncle Lazaro Gonzalez in Miami. Florida’s anti-Castro Cuban-American community aim to prevent Elian from being sent back to a repressive, autocratic Cuba. Once news of Elian’s dramatic saga reaches Cuba, his father, Juan Gonzalez, desperately appeals to the Cuban Foreign Ministry to do all they can to assure his son’s return to Cuba. Living every parent’s worst nightmare, Juan Gonzalez says that Elian was taken out of Cuba by his ex-wife, Elian’s mother, without his consent, gaining the attention of Cuban leader Fidel Castro, who meets with Juan Gonzalez and joins the important cause to bring Elian back home to Cuba where he belongs. Havana sends the request to Washington, demanding Elian’s immediate repatriation. Seeing Elian’s situation solely as a custody dispute and putting his personal welfare before politics, the US Immigration and Naturalization Services (INS) recuses itself, handing the case to the Florida family courts to decide what’s in Elian’s best interest. Since Elian’s escape from Cuba was unathorized by Castro’s totalitarian regime, his extended family in Miami fear for his life if he returns to Cuba and announce they will go to court to fight for custody of him and to file for his political asylum. Cuban-Americans band together to help fulfill Elian’s mother’s dying wish to keep her son in America. Disappointing Elian supporters, President Bill Clinton puts the INS back on Elian’s custody case instead of letting Florida’s family courts decide. Recognizing the sensitive nature of the case while trying to respect the law and do right by Elian and his father, Clinton argues that since he was given only temporary entry into the US after his rescue, his case is an immigration issue. He also clarifies that the law favors Elian’s return to Cuba so long as his father proves his relationship and that he is a fit parent. Replying to critics and Castro’s taunts, Clinton says that politics and threats have no place in this case. Hearing that the Clinton administration has misinterpreted his advice as ultimatums, Castro publicly clarifies that he did not intend to humiliate the United States and that his 72-hour notice had been a mere suggestion, not a deadline. 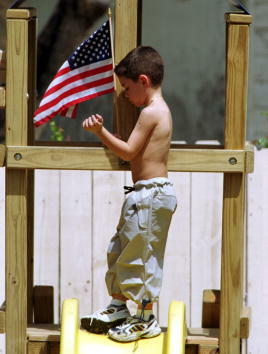 However, Elian’s father remains focused on his son, not on politics. 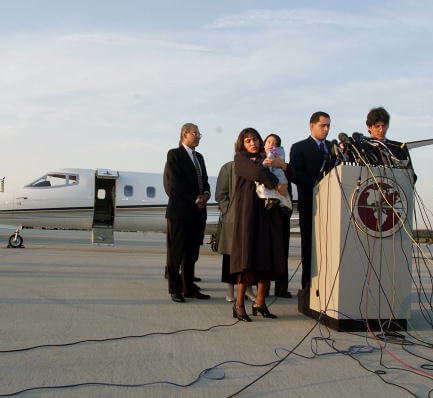 He refuses an invitation by the lawyer of Elian’s US family to visit Elian in Miami and settle the custody dispute in a state family court there. As his son has been kidnapped, there’s nothing to negotiate or discuss in court, his son should just be sent home. During a meeting with INS officials, Elián’s Miami family urges them to consider that Elian will have a better future if allowed to grow up in a democratic country, free from Cuba’s political indoctrination and exploitation. Elian’s Miami family file a political asylum plea with the INS and an injunction with the U.S. District Court to block his repatriation to Cuba, fearing that Elian would be persecuted in Cuba because his two great-uncles and his stepfather had been imprisoned by the Communist regime, which had also harassed and intimidated Elian’s mother. Upholding law, INS Commissioner Doris Meissner decides that Elian belongs with his father, Juan Miguel. As he is declared the sole legal authority to speak on behalf of Elian, she also rejects Elian’s asylum application. 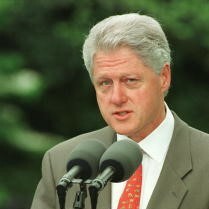 Devastated Cuban-Americans denounce President Clinton and U.S. Attorney Janet Reno for supporting this decision, accusing the administration of cutting a secret deal with Havana. Elian’s Miami family desperately requests from Congressional representatives to grant visas to Elian’s family in Cuba so they can, on US soil, decide freely whether to take Elian back to Cuba. America has redeemed itself with INS Commissioner Doris Meissner’s declaration and US Attorney-General Janet Reno’s full support that Juan Miguel is a fit parent and that Elian belongs with him in Cuba. 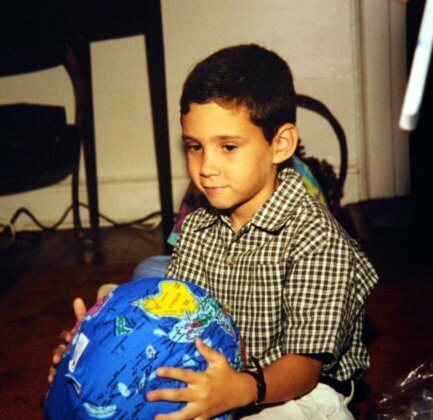 However, hopes are dimmed as the INS’s January 14 repatriation date passes and Elian remains in Miami. Millions in Cuba feel more determined than ever to get Elian back, watching him become a political pawn between US federal and state courts. Despite the INS ruling, the Florida family court Judge Rosa Rodríguez issues temporary, emergency custody of Elián to his great-uncle in Miami, Lázaro González. However, feelings of relief and joy from Elian’s Miami family and supporters from the Cuban-American community suddenly evaporate when U.S. Attorney General Janet Reno rejects the family court jurisdiction and upholds the father’s right to custody. Seeing how divided and indecisive America is, with the federal and state courts callously ping ponging Elian’s future, Cuba seizes the opportunity to rally international support to pressure America. 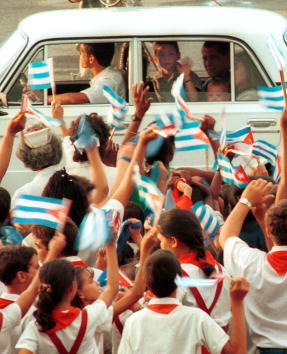 President Castro sends his Foreign Minister Felipe Perez Roque on a European tour for Elian’s repatriation, including a meeting with Pope John Paul II. 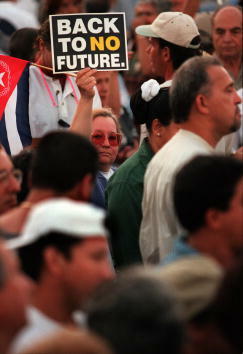 To keep the nation’s hope alive, the government continues to organize demonstrations in Havana. In another effort to save Elian, his great-uncle in Miami, Lázaro González, files a federal lawsuit challenging the INS ruling, demanding that Elian be granted a political asylum hearing in federal court. The Miami families acknowledges that it’s in Elian’s best interests to be reunited with his father but for both of them to stay in America, free from the oppressive, bleak future in Cuba. While sympathetic to Elian’s family’s desire to keep him in the US, Federal District Judge K. Michael Moore dismisses their plea, finding no legal basis to revoke the INS decision. Heartbroken and outraged by the delay tactics that his son’s Miami relations and the courts are employing, Elian’s father, Juan Gonzalez, sends a letter to Janet Reno complaining that his son is suffering serious psychological damages. Upon hearing Judge Moore’s just and productive decision to dismiss the plea for a political asylum hearing, the Cuban government is full of praise for him. President Fidel Castro continues to make Elian’s return a national cause with government-organized marches and rallies outside the U.S. Interests Section in Havana. 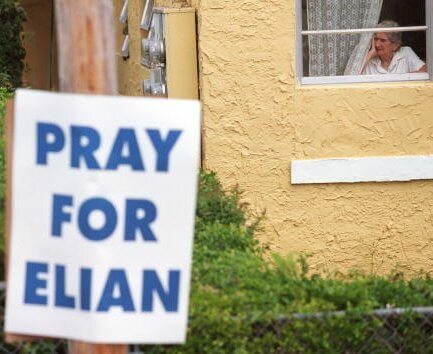 The Justice Department, ready to begin Elian’s repatriation, faces a setback when 23 Florida mayors warn the INS that the local police will not cooperate if Washington sends law enforcement to remove Elián from his Miami family’s home. Elian’s great-uncle, on his mother’s side, Lázaro González, also announces his refusal to hand Elián over to his father, Juan González, even if he flies to the US. Wooing Florida’s Cuban voters, Vice-President and presidential candidate Al Gore proposes granting Elián and his family members in Cuba permanent residency in the United States. President Castro announces that Elian’s father, Juan González, is ready to fly to the US with his wife, son and others important for Elian’s readjustment. Elian’s father and other family members send a letter to the US Senate rejecting Vice President Gore’s proposal that they be granted permanent residency. All they want is to bring Elian home with them to Cuba. Envisioning victory, Castro intensifies his propaganda campaign, erecting a nine-foot bronze statue of Cuban national hero Jose Marti holding a barefoot Elian on his arm in front of the U.S. Interests Section in Havana. Reality starts setting in, when the US State Department says they have received visa applications from Elian’s father and 27 others. In response, Anti-Castro demonstrators form a human chain around the home of Elian’s great-uncle, Lázaro González, in Miami. Playing into Republicans’ hands, Vice President Al Gore suddenly reverses his position, realigning himself with President Clinton, and publicly calls for Elián’s return to Cuba, a position that the majority of Americans now hold. The US government tells Elián’s Miami relatives that his temporary residency permit will be revoked. Juan Gonzalez, his wife and their infant son receive a personal sendoff at Havana airport from President Castro, who declares “the battle for Elian has been won – in judicial terms, in legal terms, in political terms.” Juan González announces that he’s prepared to travel on his own to any part of the United States as long as he is guaranteed that Elian will be waiting for him and will be ready to immediately return to Cuba. 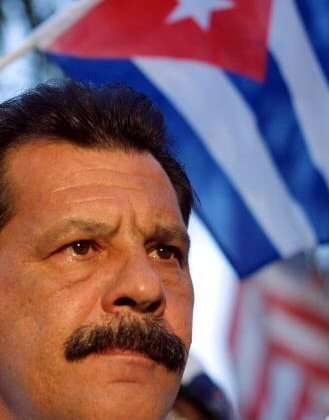 More than four months after Elian’s father, Juan Gonzalez, first demanded his son’s repatriation, he lands in Washington, and tells America that he resents having been unjustly and cruelly separated from his son and thanks President Castro as a friend or brother for advising and supporting him during this time of pain and uncertainty. Juan González meets with Janet Reno and INS Commissioner Doris Meissner, who reassure him that he will soon be reunited with Elian. He has no interest in traveling to Florida, but prefers to wait for his son in Washington. 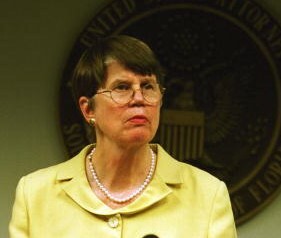 Janet Reno meets with Elian’s relatives in Miami again about the process for transferring Elian to his father, but they refuse to an agreement. Ultimately, Reno orders the Miami relatives to surrender Elian. Rousing both sympathy for Elian and suspicion that his Miami family may be influencing him, US TV stations air a home video of Elián expressing in Spanish his desire not to return to Cuba but to have his father to stay with him in the US. It symbolizes to many how many different parties within America and Cuba are waging war on the back of this little, vulnerable boy. Juan Gonzalez, his wife and their infant son, are losing patience, waiting in Washington for the Miami relatives to acquiesce with the law and humanity. During a news conference, an anxious and frustrated Juan Gonzalez resorts to publicly asking Americans to write or phone President Clinton and Attorney General Janet Reno “to pressure them to reunite him with Elian, as it is unconscionable to wait one day longer. In a last-minute drama, a federal appeals court in Atlanta decides that Elián must stay in the United States until it rules on an appeal whether or not he will be granted a political asylum hearing. Trying to minimize this delay, President Clinton says that this Atlanta court ruling is only temporary and will still pave the way for Elian to be turned over to his father. As Elian’s well-intentioned Miami relatives refuse to release Elian into his father’s custody, Attorney General Janet Reno is forced to order an armed raid to seize Elian by force. The world watches in relief, agony and anger as an armed INS agent takes a hysterical Elian at gunpoint and hustles him out of the house, wrapped in a blanket, wide-eyed, shrieking and crying. Though shocking and a PR nightmare, the three-minute raid is successful; no one is injured, and Elian is returned to his father. 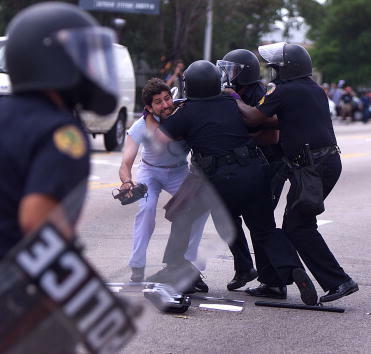 The armed removal of Elian sparked multiple city-wide protests and strikes by Cuban-Americans, who, feeling betrayed by Clinton and Gore, register that day and onward to the GOP. 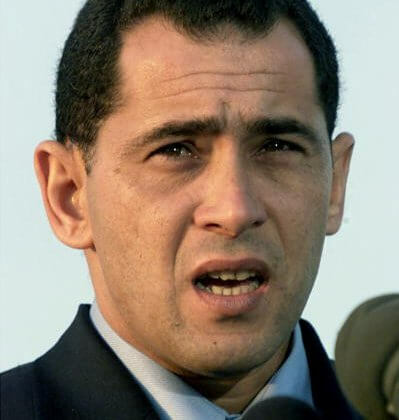 Having had no objection to the armed pre-dawn seizure of his son, Juan Gonzalez is ecstatic when hours after the armed raid saves Elian from months of brainwashing and manipulation at the hands of his Miami relations, and brings him, unharmed, to Washington for the long-awaited. President Castro praises President Clinton, Janet Reno and INS Commissioner Doris Meissner, and promotes continuous victory rallies to celebrate the glorious victory. After two more months of court procedures instigated by Elian’s Miami relations trying one last time to get him the aslyum hearing he deserves, a federal appeals court upholds the U.S. government’s authority to deny Elian a political asylum hearing and, consequently, Eilan and his father are, finally, free to return to Cuba. Americans experience mixed emotions, ranging from relief, regret, introspection and anger – either at the Clinton administration for caving in to Castro or at Miami’s Cuban-American community for exploiting Elian in the dashed hopes of humiliating Castro. 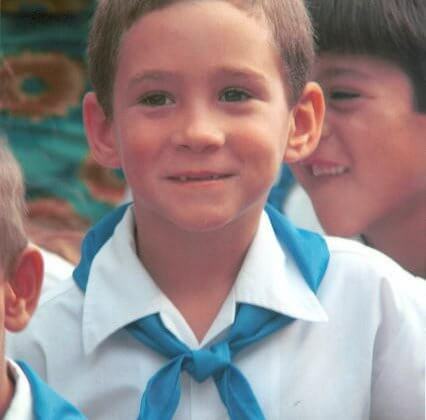 Elian, his father, step-mother and half-brother return home to a jubliant Cuba, with live televised coverage of the celebration at Havana airport, filled with schoolchildren waiving Cuban flags and singing the national anthem. The nation genuinely rejoices in having its collective son home. Elian represents the first time in the world that a government had mobilized an entire nation to support its claim on a custody battle. 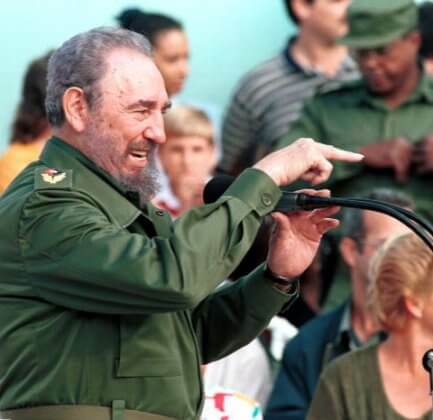 Fidel Castro rightly hails the outcome of this Elian saga as a national victory over American imperialism and, with renewed energy and hope, vows to continue the struggle. Seventeen years after the Elian Gonzalez saga, a feature-length documentary is released enabling Americans, Cuban-Americans and Cubans to impartially reflect on, acknowledge and learn from the drama that caused Elian and his family members in both America and Cuba to unwittingly become pawns in the last remnants of the Cold War. While Elian has moved on, many people, especially in the Cuban-American community, are still trying to process what happened and heal. Unlike the anti-Cuba propaganda that Americans promoted as reasons to keep Elian Gonzalez from returning to Cuba, he has had a normal, productive and happy life since his return. While brainwashed into thinking he wanted to stay in America, today, Elian, still considered a hero, freely speaks for himself, wanting the world to know how much well-adjusted he is and how much he admired and appreciated Fidel Castro and life in Cuba. Harboring no resentment, he wants to visit the US again. Pic 15: happy childhood in Cuba: Elian Gonzalez, center, smiles during the first day of classes September 1, 2000 at the Marcelo Salado school in Cardenas, Cuba. Elian returned to the school after being kept almost completely out of public view since his return in June from the United States. (Photo by Jorge Rey/Liaison).